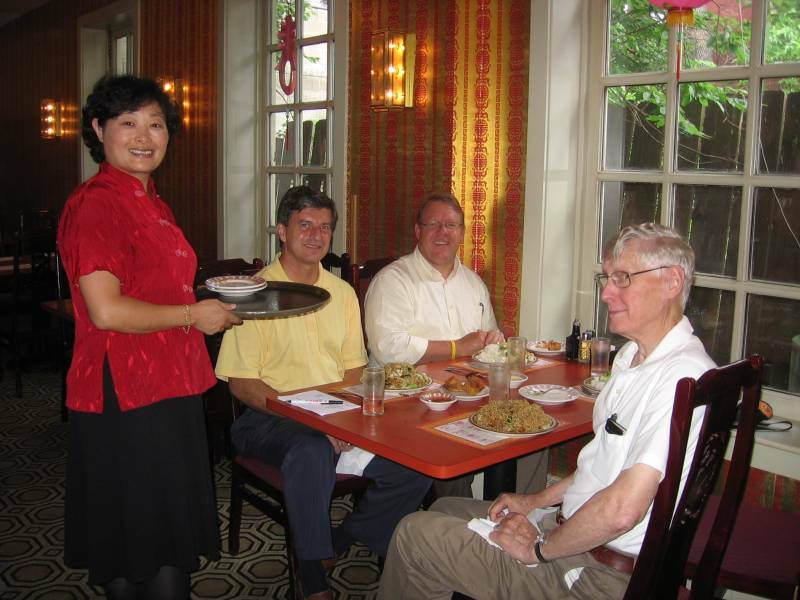 Last week members of the NDDC Board passed through the construction zone and dined at long-time downtown favorite Mandarin Garden. It was good times and great food. Pictured with owner Pai Yang are board members Mark Quinnell, Greg Kneser and Keith Covey. One of them (to remain unidentified) said, “Hurry up with the picture, Ross…I’m hungry”. Pai warmly greeted the long-time customers in our group and seemed optimistic that the construction work would soon be completed. There were a number of full tables, with customers of all ages, as well as a number of “to-go” pick-ups, during our time there, and the place was a quiet oasis compared to the world outside. Mandarin Garden has been located in downtown Northfield for 29 years. After a few early years on the 500 block of Division Street, they’ve been in their present location for over two decades. The 4th Street reconstruction is now scheduled for completion by the end of July. Until then, like I said, good times and great food.